Andrew I. Alperstein – Alperstein & Diener, P.A. Andrew I. Alperstein currently focuses his legal practice in the areas of Criminal Law and traffic law violations both in Maryland State and Federal Court. Mr. Alperstein is Peer Review rated by Martindale-Hubbell, and ranked as excellent in his level of skills based on his experience. 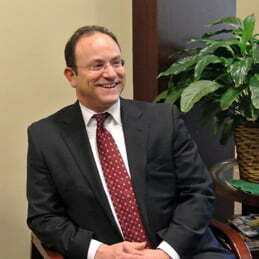 He has been honored to be selected in Superlawyers as a Top Lawyer in Maryland (Criminal Defense) for the last 4 years. Mr. Alperstein is a member of several local bar associations. He has served as Chair of the Criminal Law Committee of the Baltimore County Bar Association. He has Chaired the Baltimore County Circuit Court Sitting Judges Slate Political Committee since 2007 and has successfully Chaired the campaigns of Judges Stringer, Bollinger, Alexander, Bailey, Brobst, Nagle and Purpura. He currently is working with Judge Justin King who will stand for election in 2014. He has handled a number of high profile criminal cases including the Smoot Case in Baltimore City where 3 correctional officers were charged with murder by stomping an inmate in 2006, the Werdesheim case where a former member of Israeli Special Forces was charged with his brother with assault on a teenage in Northwest Baltimore City, and he has represented a number of players on the Baltimore Ravens and Orioles. He has devoted his practice to serving clients throughout the State of Maryland and particularly in Baltimore area, where he was born and raised. He began his legal career in the State’s Attorney Office in Baltimore where he served as an Assistant State’s Attorney from 1994 to 1999. While in that office he held the positions of Assistant State’s Attorney in Charge of Juvenile Cases and Unit Chief of the Automobile Manslaughter Unit. He also regularly lectured to the Baltimore County Police Department – both to new officers in the academy as well as continuing education. He continues to serve in the role. He was distinguished as the Recipient of the Governor’s Citation for Outstanding Service in 1999. He currently volunteers on the Board of Directors at the Baltimore Child Abuse Center where he currently holds the position of Vice President. Member: Baltimore City, Baltimore County and Maryland State Bar Associations; National District Attorney Alumni Association; Maryland Criminal Defense Association. Biography: Recipient, Governor’s Citation for Outstanding Service, 1999. Assistant State Attorney, Baltimore Court, 1994-1999; Assistant State Attorney in Charge, Juvenile. Editor, Maryland Extradition Manual. Law School President, Student Bar Association.